Number 6: King K Rool. I already know this is a controversial spot considering he is a fan favorite, but I just don’t have enough experience with him or the Donkey Kong series to get too hyped for him. Sure his moveset is very unique taking inspiration from all of his boss fights, but I just do not know enough about him to appreciate that too much. Although I did really like how King Dedede trolled all of us in the reveal trailer, that does not make me like the character more overall. 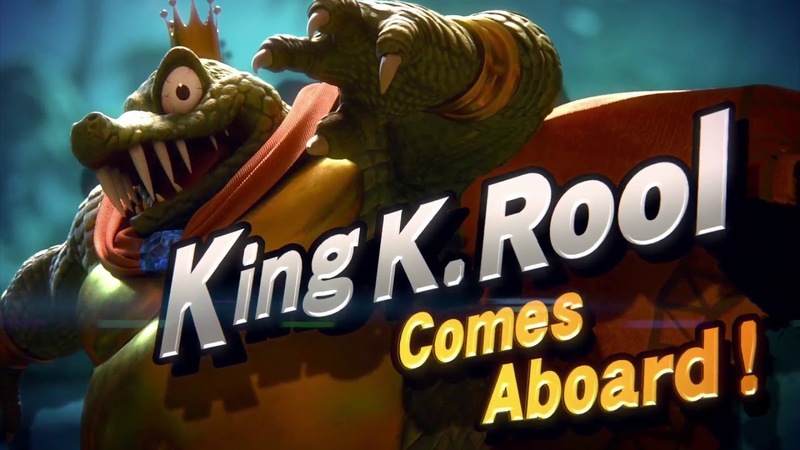 King K Rool is a great pick, I am very happy for all the fans, but he is just not for me. Number 5: Inkling. Inkling is the type of character whom I would have never thought of wanting until seeing of gameplay, and I’ve got to say I love it’s moveset. The real reason Inkling is on this list, however, is the revolutionary reveal back during the March 2018 Direct. I’m not going to lie, I was pretty annoyed when I saw more Splatoon after the long Octo Expansion trailer before that. As soon as the fire appeared in Inkling’s eye, at that very second, me and the entire internet went wild. That moment is irreplaceable, as I had never seen anything like it. So that, combined with Inkling’s super unique moveset put’s it at number five for me. 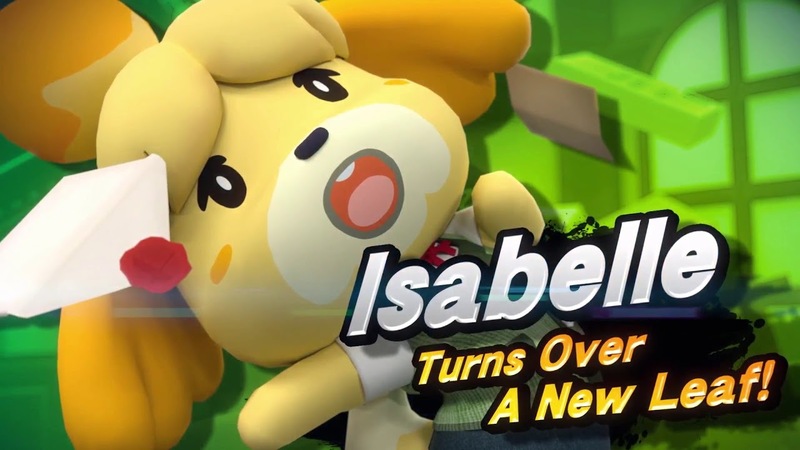 Number 4: Isabelle. Other then her over powered and fun moveset, can we talk about her reveal for a moment? I really love how Nintendo presented it as if it was a Animal Crossing game cutscene. Then, when everyone thought her reveal was over the trailer moved on to Tom Nook, when everyone thought he was about to make it as an echo. That’s when Tom himself decided to announce Animal Crossing Switch, which I found as a perfect way to tie in both announcements together. As for her moveset I previously mentioned, I personally love it (especially the fishing rod) although she is a semi clone of Vilager. Of course, however, the real reason she’s on here is because she’s too precious not to be (tell me she’s not adorable, just try). 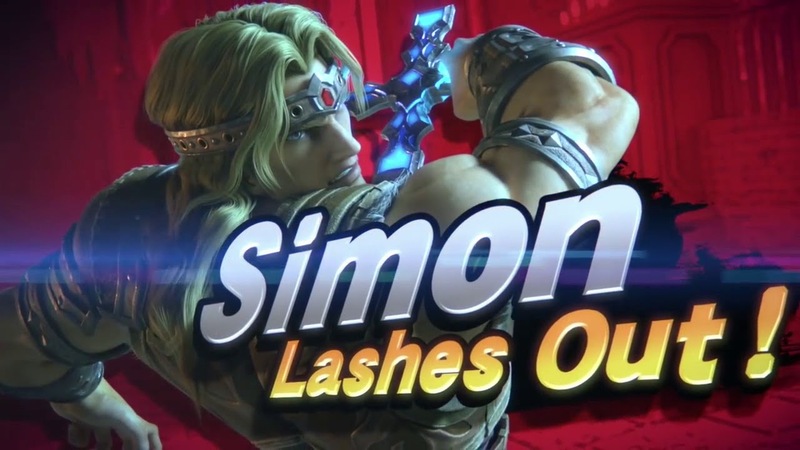 Number 3: Simon Belmont. I’m not going to lie, at first I did not care for Simon at all. After seeing his moveset and awesome looking final Smash, I think it’s safe to say I’ve changed my mind. His whip works perfectly in Smash from what I’ve seen, but his moveset is the least important reason I love him. The trailer was the best between all character reveals! The fact that they teased Luigi’s Mansion 3 two months before reveal is insane to me, and the fact that they used Luigi for the trailer fits perfectly with the Castlevania creatures/setting. That is not even the main reason why I love his inclusion so much though. The music remixes he brought with him made this my favorite Smash soundtrack let alone favorite video game soundtrack of all time, it is almost like this music was made for me! Take a listen to this yourself: https://youtu.be/MpUQu_sOjVI. Number 2: Ridley. Ridley, Ridley, Ridley. The one who proved the impossible possible. “He’s too big” they said, and even Sakurai agreed, but throw that out of the window because he’s here! I’m putting him on this spot because not only do I love Metroid, but this was the moment where we all realized this is truly the ultimate Smash. His reveal was great, and I loved how much darker it was then regular trailers which truly represented the character. He looks less heavy weight then I would have imagined which personally makes me happy, and his final Smash has to be one of my favorites yet. Also, I love how he has a Meta Ridley color alt. Overall, Ridley was more than just another Metroid rep. He was the biggest character reveal of all time, being special to fans all over the world. 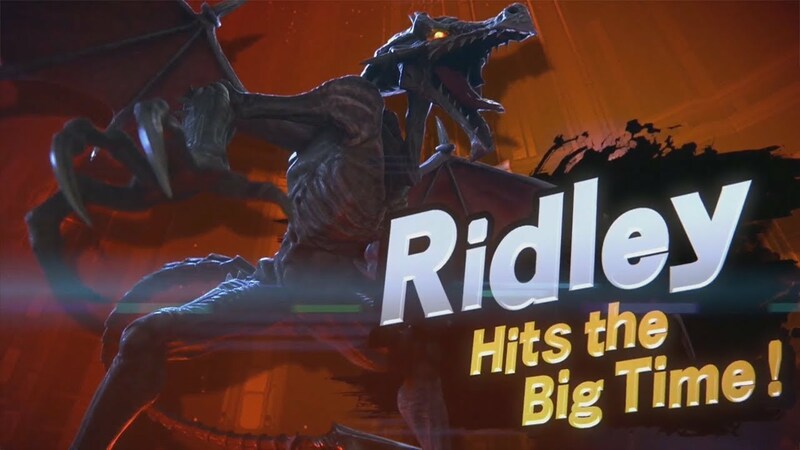 Ok I need to drop the puns ridley soon…Honorable mention: King K Rool (I’ve never played the Donkey Kong games myself, although his trailer was neat. Also, I love his final Smash with how it calls back to Donkey Kong 64). Number 1: Incineroar. I know exactly what you’re thinking; “after all that Incineroar hate for disproving the Grinch Leak he is you’re number one?? ?” And to that all I have to say is… yup, and I’m not ashamed. Incineroar is by far my favorite looking in game model of all of the fighters, and I adore how he celebrates after each major hit. I also love how Sakurai and the team focused on both his pro wrestler and fire capabilities, some of which are not even explored in Sun and Moon itself. Not to mention his final smash, which is not my favorite, but is still very epic. As for the reveal, although I’m not a huge fan of Ken, I loved it to death! The set up in the boxing arena with Little Mac is perfect, and I love how he completely obliterates Ken to claim the new spot as champion where he is revealed. Overall, Incineroar is my favorite inclusion/reveal with absolutely no Pokémon fan bias as he is not even my favorite starter for Sun and Moon. Who are your top 5 newcomers for Smash Ultimate? Let me know on Twitter, Discord, or the comments below. Thanks for reading, and I’ll catch you all later! (Image credit: Super Smash Bros. Ultimate, owned by Nintendo for Nintendo Switch). I think my Top 3 newcomers are K. Rool, Inkling, and Incineroar. The rest are pretty equal after that.